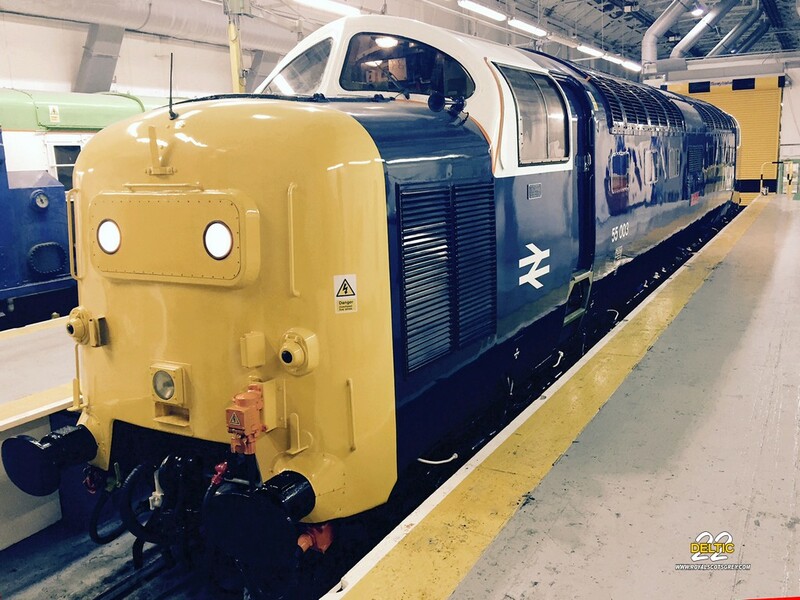 Deltic was the nick name given to the twenty-two English Electric type 5 (Class 55) locomotives purchased to head the British rail fleet on the east coast mainline in the early sixties. 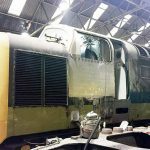 They were built at the Vulcan Foundry, Newton-le-Willows between 1961 and 1962 by English Electric. Designed for high-speed express passenger services on the East Coast Main Line, they ran between London King’s Cross and Edinburgh with a top-speed of 100mph. In 1978 the Intercity High Speed Train (125) was introduced and this began the decline of the class. Betweeen 78-81 they were relegated to semi-fast or newspaper–parcel–sleeper services along the ECML (destinations including Cambridge, Cleethorpes, Harrogate, Hull, Scarborough and Aberdeen) plus occasional forays offline on York – Liverpool Lime Street semi-fast and Edinburgh – Carlisle via Newcastle stoppers. 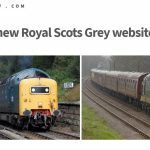 In January 1980 the first two of the class were withdraw, with the whole fleet withdrawn following a farewell railtour on 2nd January 1982. 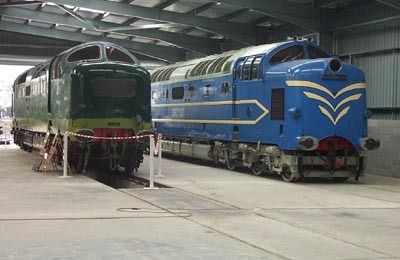 Six locomotives were preserved. 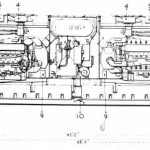 The ‘classic’ Deltic engine configuration has 6 banks of 3 cylinders driving to a single output shaft by a collection of phasing gears on the end of the block (see pic 3). As the engines operate by 2-stroke principle there is no valve gear to run and the configuration makes for a compact, lightweight but high power unit. In some torpedo boat applications the rated output approached 5000 horse power! but for railway application the engines were detuned to 1650 hp for longevity, lower maintenance and hence lower running costs. 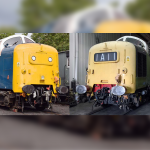 The pair of power units in the locos provided 3300hp in total which was plenty to facilitate 100mph working with a heavy rake of coaches and was enough to make the Deltic locomotives the most powerful diesel Locos in the world at that time. 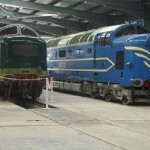 The power units are connected to main generators which convert the engine power to electricity. This is used to power the traction motors in the bogies which in turn drive the wheels.